As the 76ers continue the search to fill their vacant general manager position, the team has been granted permission to interview three candidates who are currently working for other teams according to team sources. The development was originally reported by ESPN. Days after Sixers owner Josh Harris told ESPN that he was willing to keep head coach Brett Brown in his interim GM role through the 2018-19 season, the Sixers have started their first real wave of interviews. The vice president of basketball operations for the Houston Rockets is a picky man who will not go into a situation unless he is absolutely sure it is the right fit. With the Sixers taking a similar approach in their GM search, this pairing will work out only if both parties are on the same page. After working his way up through the ranks in Houston, including as GM of the Rockets' G League affiliate, Rosas has become a staple in future GM discussions. Under the tutelage of Rockets GM Daryl Morey, Rosas is one of the more analytically progressive minds in the NBA and holds the respect of players and front office personnel alike. But he will be the one to choose whether or not he leaves Houston. 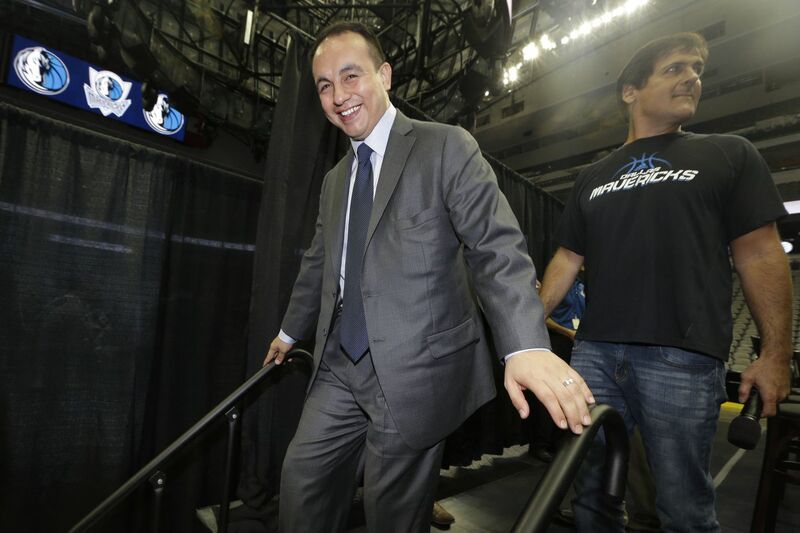 Rosas left a brief stint as GM with the Dallas Mavericks because it wasn't the right fit, he took himself out of the running for the Detroit Pistons' recent opening, and he surely won't hesitate to turn someone down again. For the last 10 years Harris has been with the Golden State Warriors, seeing the lows and highs of the NBA in a multitude of positions. Harris has been an assistant coach, scout, and consultant, and he worked in the front office for the Warriors, where he has been director of player personnel and assistant GM since 2015. Before his time with Golden State, Harris had a career with the Milwaukee Bucks that started in 1987. He closed out his time with the Bucks as GM from 2003 to 2008. Though the Bucks made it to the playoffs twice during Harris' tenure as GM, he didn't make any blockbuster moves or do anything that would jump off the page as unique. But he also didn't make any glaring blunders during that time. On the upside, the Warriors have stuck by Harris while not being shy about letting others go, so there is something to be said for that as well as the knowledge he has been able to soak up from the most successful team in the league. The Utah Jazz assistant general manager is another up-and-comer who has garnered a lot of buzz when open GM positions are being discussed. Unlike the other two candidates, who started as interns with teams and worked their way up, Zanik started out as a player agent much like Warriors GM Bob Myers. He joined the Jazz in 2012 as assistant GM and left for a year to work with the Bucks before returning to Utah. With his background as an agent and his time in the Jazz front office, Zanik is more than familiar with contract negotiations, international player personnel, recruiting, scouting, analytics, and the nuances of NBA deals.